It´s not easy being green! 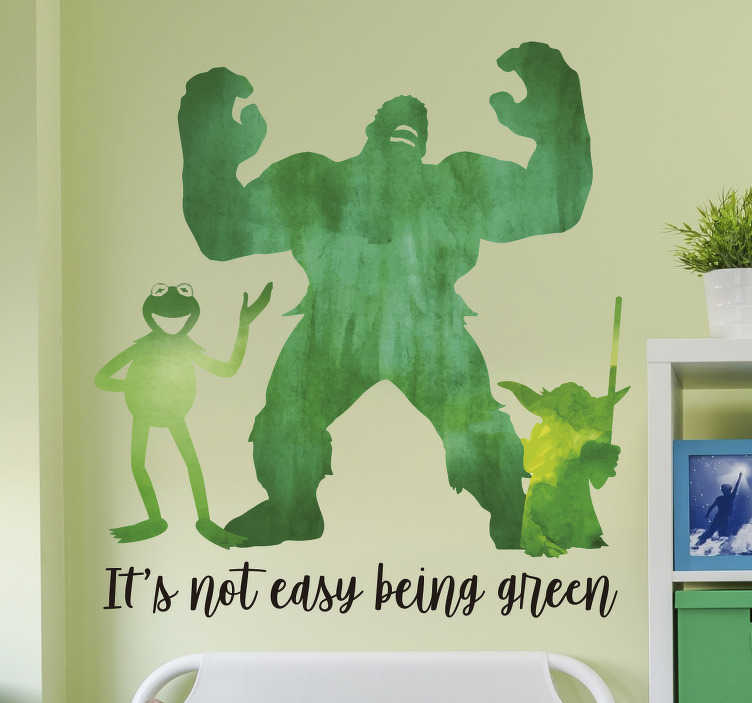 Initially sung by Kermit the Frog, this song has become ubiquitous - Performers as diverse as Frank Sinatra and Diana Ross have penned their own versions, while the Hulk and Yoda are amongst those to have experienced a similar problem - Hence they are displayed on this wall art sticker! If you can empathise with them, then choose your size and buy this character decal now!